As far as everyone else is concerned, Mason Bushing died over a year ago, but now he’s running from Dr. Harlow who is secretly conducting an unauthorized experiment for a drug he calls Purify. It saved Mason’s life, but Mason is focused on getting what he wants most—his old life back. His plans change when he realizes his wife is more interested in the insurance money she inherited than seeing him alive. His best friend doesn’t believe his story, and the police intend on charging him with fraud and assault after he almost kills his wife’s boyfriend. Warren is a detective who’s assigned the case. He has just returned from personal leave after his wife died. His investigation turns up suspicions of lying, disturbing coincidences, and related homicides. When Mason becomes the prime suspect, he’s forced to run again. Imagine having to run from someone who saved your life. Imagine everyone thinking you’re dead, but you’re really alive. Questions, accusations, conspiracies… murder. What if this was all caused by a drug that’s creating the next physical evolution of man? 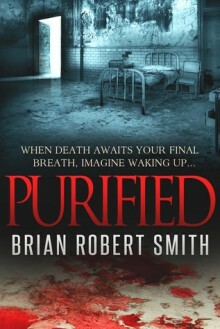 What would you do if you were Purified?